WORLDWIDE: Canadian lidar specialist Axys Technologies and Belgian advisory firm 3E have signed a memorandum of understanding to collaborate on some future projects. Axys acquired wind measurement and resource firm Flidar from 3E in September. The two companies said since the purchase, they have been in talks to provide joint services. The MoU will see the two firms conduct joint research, development and demonstration, as well as sharing data and best practice. Both companies will also jointly develop "new solutions offerings to their perspective clients". "By combining our efforts we plan to bring new innovative solutions to market very quickly," said 3E CEO Geert Palmers. 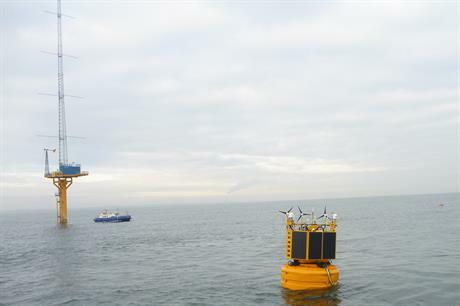 In September 2014, DNV GL validated Flidar's floating measurement unit following a three-month deployment at Mainstream Renewable's 450MW Neart na Gaoithe project off the east coast of Scotland.